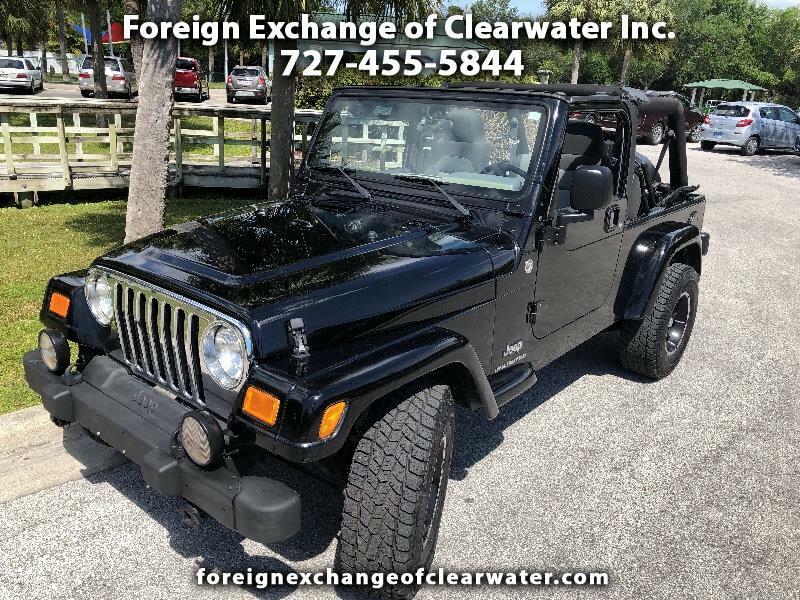 Used 2006 Jeep Wrangler Unlimited for Sale in Largo FL 33778 Foreign Exchange of Clearwater Inc. In excellent condition both inside and out. A local vehicle so no need to worry about any northern rust. And everything is in perfect working order. With only 115 K.
The LJ has a longer wheel base than the TJ giving a much better ride on the road. This vehicle was only made for two years 2005 and 2006. Auto, inline 4.0 6 cyl engine, A/C ice cold, new top. We are seldom at the office, and the vehicle may not be located there, so please by appointment only.